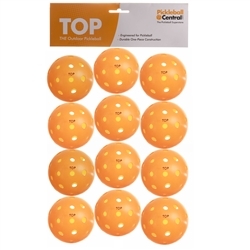 The TOP Pickleball is PickleballCentral's house brand pickleball. 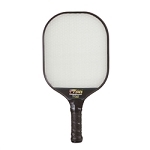 TOP stands for, "The Outdoor Pickleball". This ball has all the qualities you've come to love from other outdoor pickleballs. 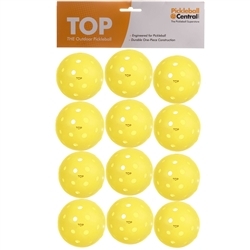 It's durable, seamless, hard plastic and has 40 holes - some large, some smaller. 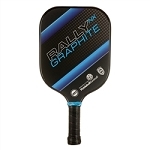 Like other outdoor pickleballs, this ball is "rotationally molded" meaning that a single chunk of hot plastic is placed inside a hollow rotating mold under low pressure until it has completely melted into the wall of the mold. Once it's cooled, the mold is separated to release the hollow plastic ball. The next step is to drill out the 40 holes to make a perfect pickleball. If you cut up the ball, you will find the internal surface is smooth and completely continuous. The advantage of this manufacturing method is that you get consistent and even wall thickness. The ball is also stronger and will last longer than melting two half balls together. These are not your grandparents’ simple whiffle balls! They designed to be durable for pickleball. Available in the following colors: yellow, orange, or white.